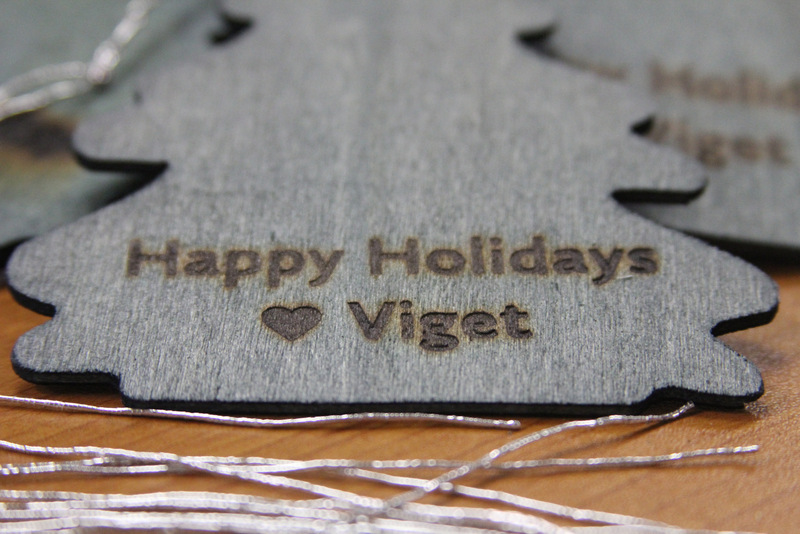 We love traditions at Viget. Way back in 2003, we were gearing up to mail a few hundred holiday cards — just like every other business does — when we decided to try something more creative. 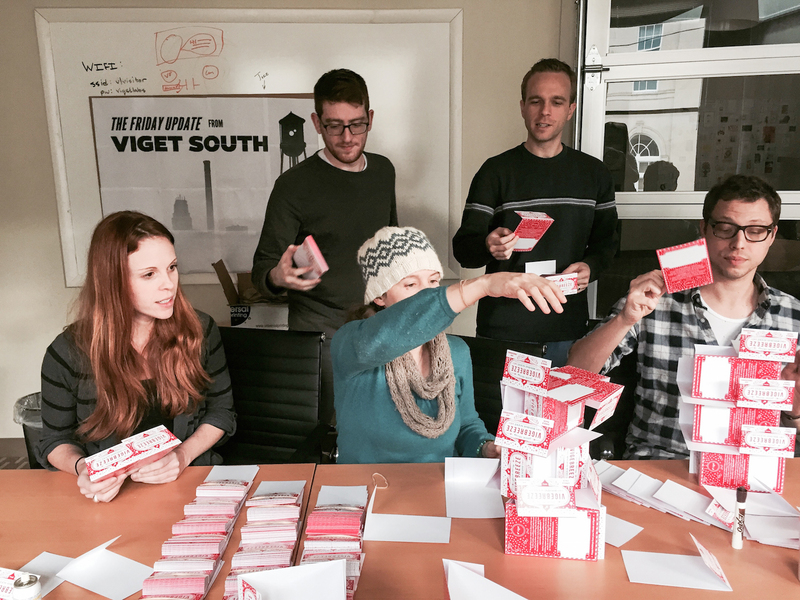 Instead of simple cards, we hand-made and delivered a few hundred mini-gifts of Vigorbalm. 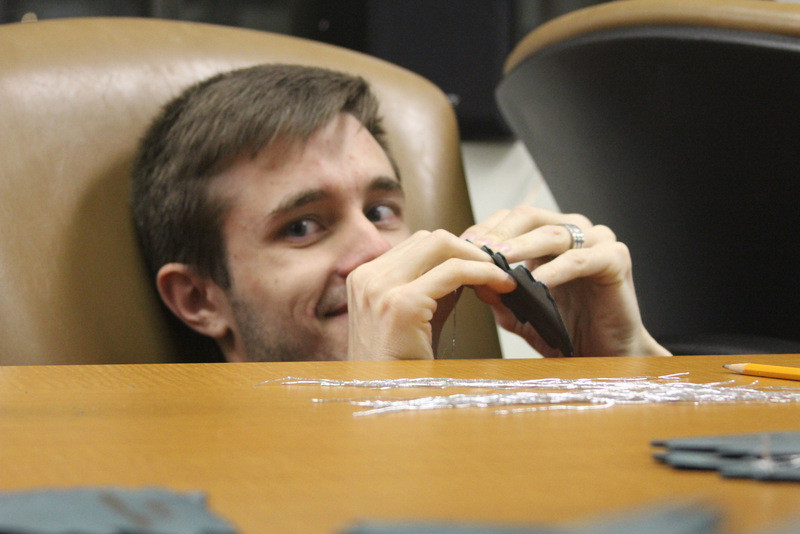 We had fun crafting something non-digital, and a tradition was born. 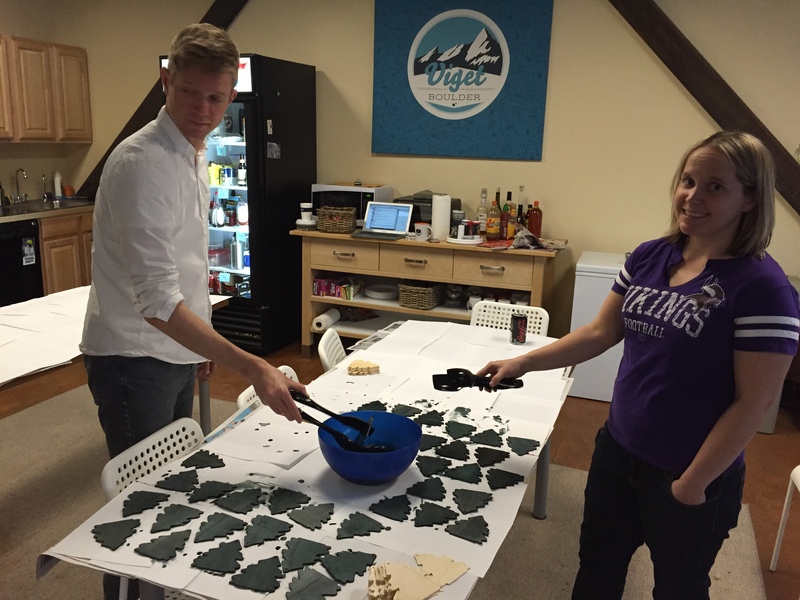 Every year since, we rack our brains to think of a gift that fits the constraints: spend $3 or less per unit (including shipping), incorporate the circles of the Viget logo, and everyone at Viget (across all three offices) needs to be able to chip in (yay teamwork!) over beers and holiday music. 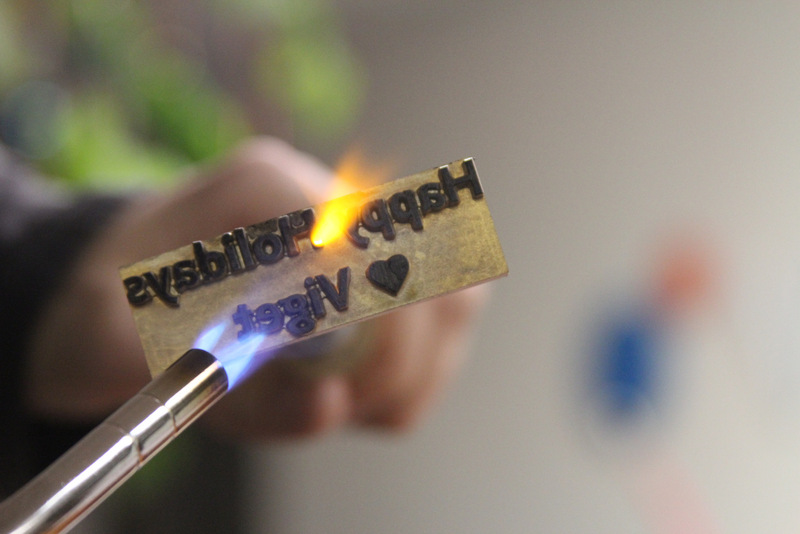 One thing we've always wanted to try is a brand — as in, a slab of metal that we heat up with a blowtorch and use to burn a mark into something. This year provided that opportunity, and it was as fun as we expected — until the brand broke. Alas. 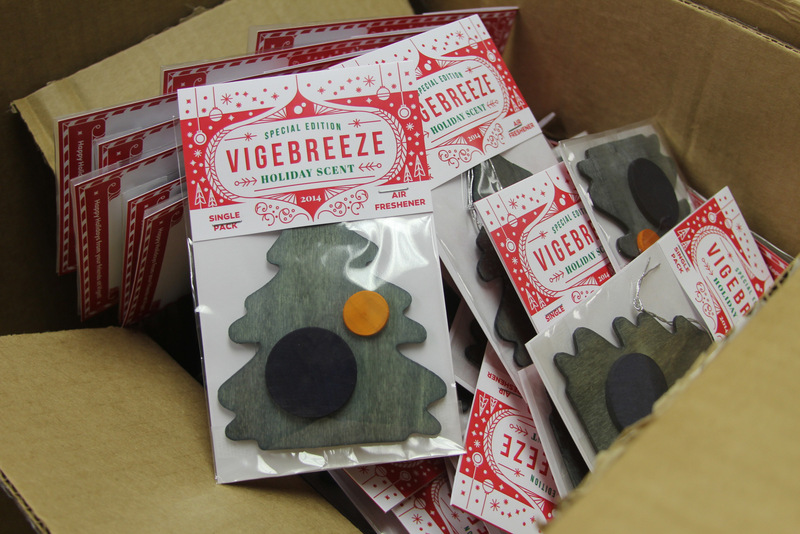 If you're a recipient of this year's air freshener-inspired holiday project, dubbed Vigebreeze, check for the message burned in the back of the tree and consider yourself lucky if it’s there (branded/non-branded gifts were sent at random). 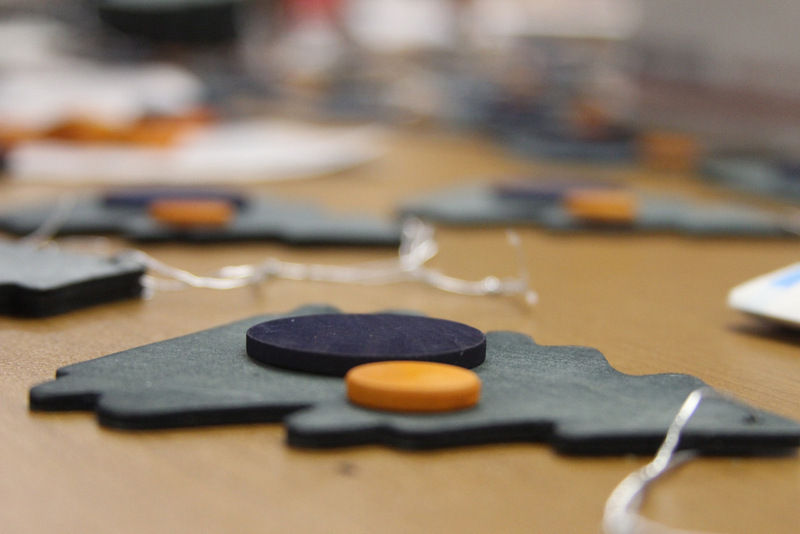 This is a fun tradition, though the point was made this year that a key reason we do it — to make something with our hands — isn't as relevant any longer given our many experiments with physical devices. Will the tradition continue in 2015? Only time will tell. 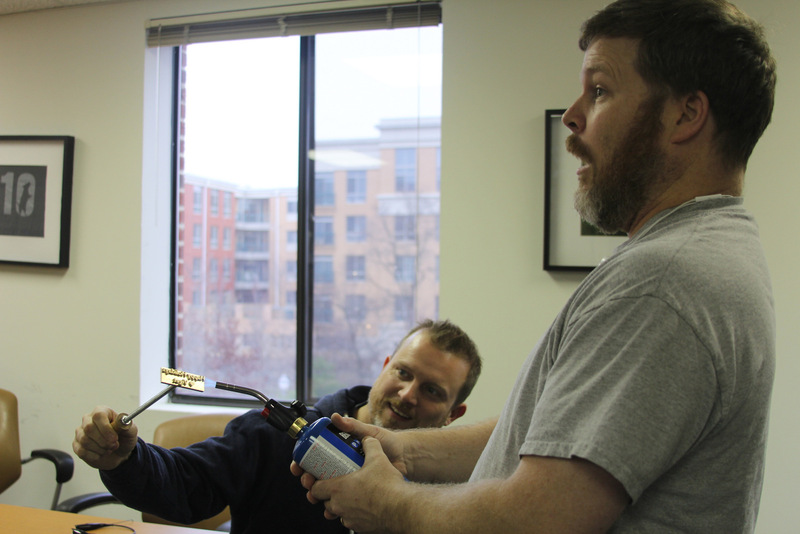 In the meantime, enjoy a fresher smelling car or cubicle thanks to Vigebreeze. If you didn't get one but would like to, email your address to whiff@vigebreeze.com, and we'll get it out right away (while supplies last).